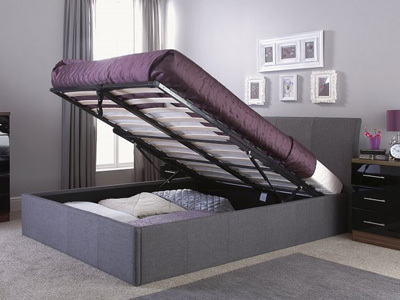 With the average household containing 2.4 children, space can be quickly sapped up. 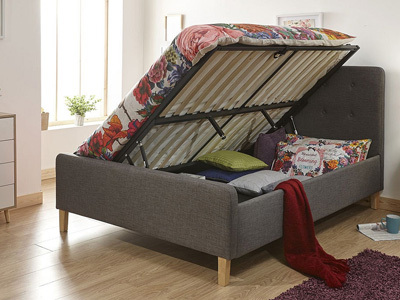 With clothes, bed linen, towels and toys soon taking up space, finding somewhere to put them all becomes mission impossible. 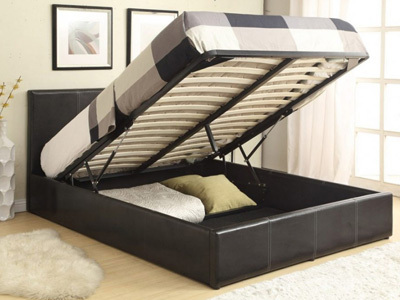 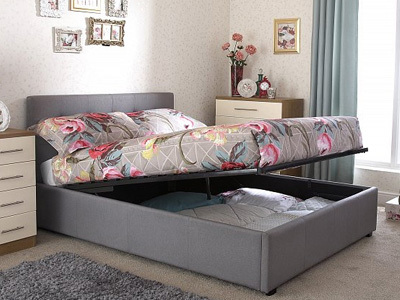 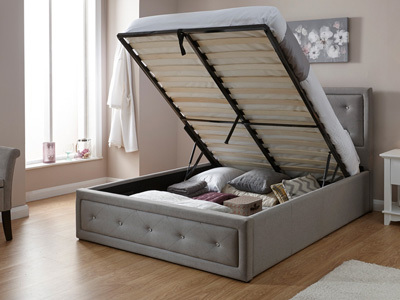 Along with traditional beds that offer storage, An Ottoman storage bed could well create the space you need, providing four times more storage space than a conventional drawer bed. 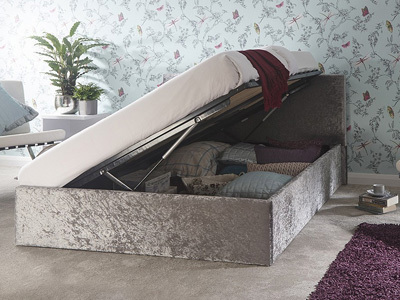 Incorporating an easy lift-up mechanised base you’ll be able to store your most precious belongings underneath. 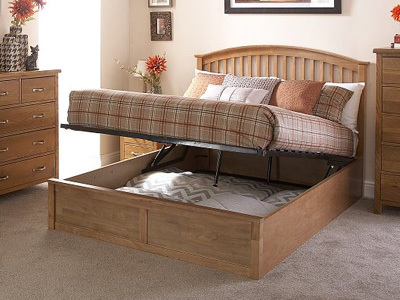 Extra storage just like that! 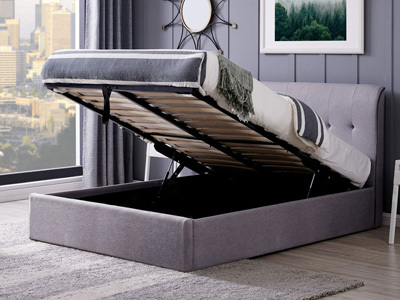 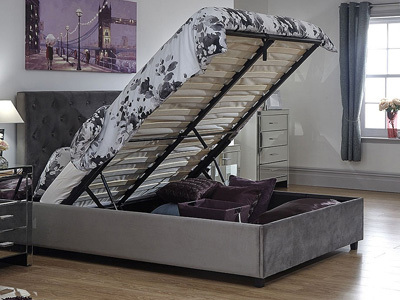 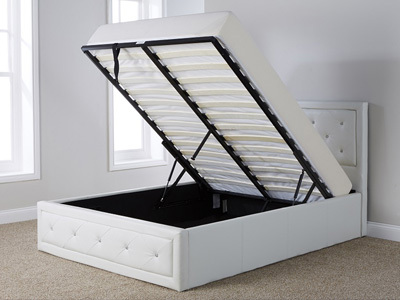 The idea of lifting a whole mattress seems dreadful for some, but the advantage of using an Ottoman storage bed as opposed to a regular storage bed is the finger-lift system, which allows you to raise the whole bed with minimal fuss. 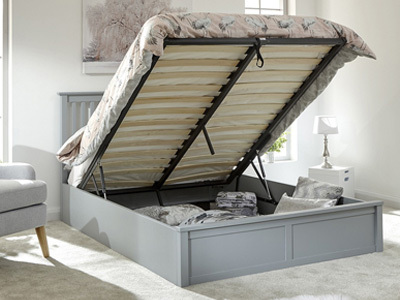 And if you expect for the bed to fall down as soon as you’ve raised it, you’d be wrong, as the mattress acts as a counter-balance, allowing the base to remain upwards just the way you left it. 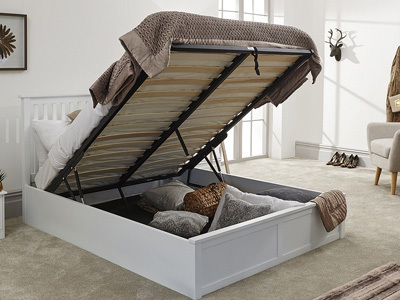 Pretty much the same experience you would get with a car boot. 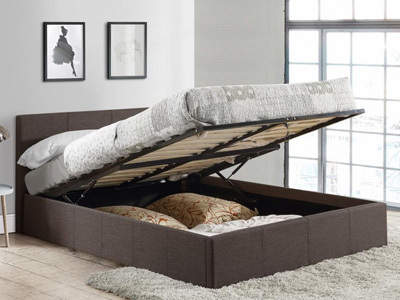 Have no fear if you room isn’t long enough for an Ottoman bed though, as a number of models open from the side. 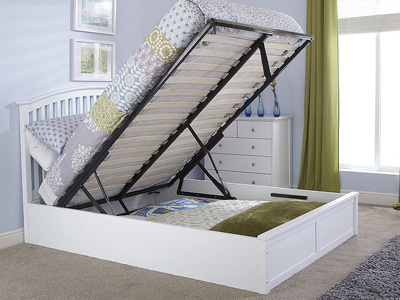 This way you work your bed around your room, as opposed to otherwise. 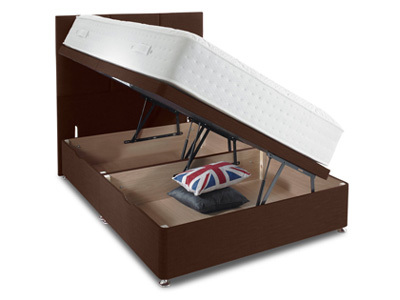 Strength is also key with these beds and all the beds on this page come with a solid wooden base. 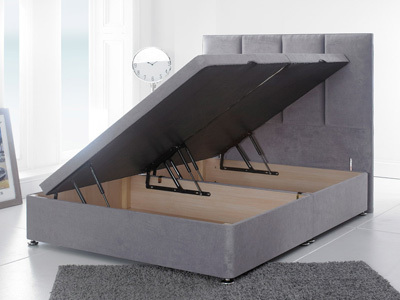 And have no fear that your clothes will turn stale as Ottoman bases come with porous holes, perfect for air flow. 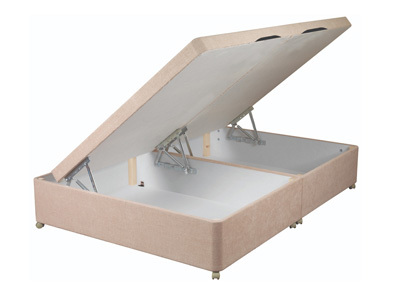 A number of our models come with fabric bases, allowing you to store clothes on the floor, creating a cost-effective storage solution. 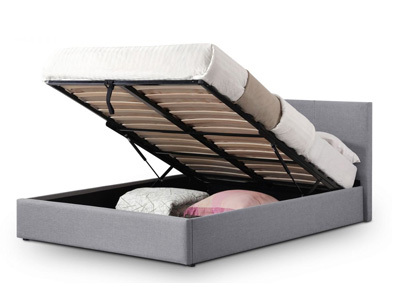 Our Ottoman storage beds come pre-packed with an optional headboard, while headboards come as standard with Ottoman bed frames. 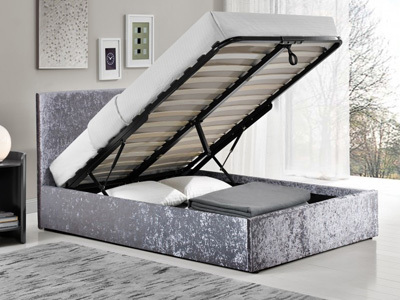 We’ve got all the sizes you’ll ever need, including all the popular sizes of mattress; single, double and king-size, and even models with additional TV Bed features. 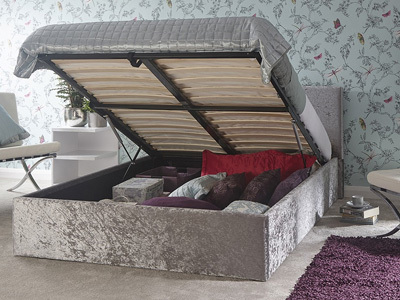 If style is at the forefront of your mind then we’ve got a range of Ottoman beds that suit all décor. 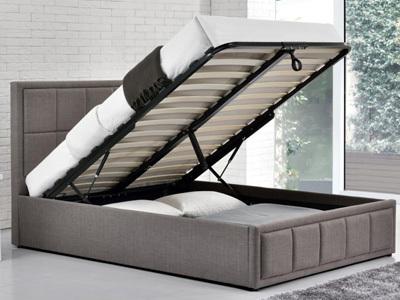 Whether you’re looking for a leather, fabric or metal bed design, browse below to find the perfect bed for you. 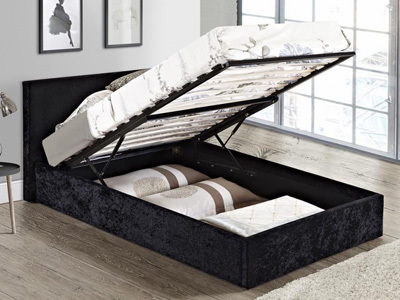 Favourite finishes include brown, black, while a range of velvet and chenille fabrics are available; offering a luxurious and contemporary look. 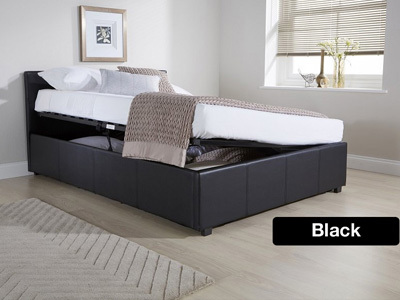 With style being at the forefront of most bed designs, our range of Ottomans come in a variety of fabric options and colours. 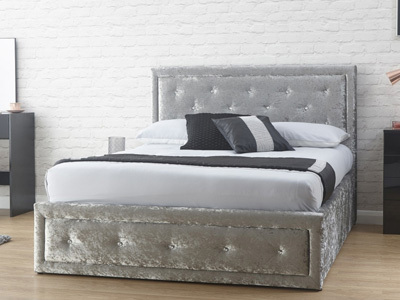 Favourite leather finishes include white, black and brown, while a range of chenille and velvet fabrics offer a luxurious and contemporary look. 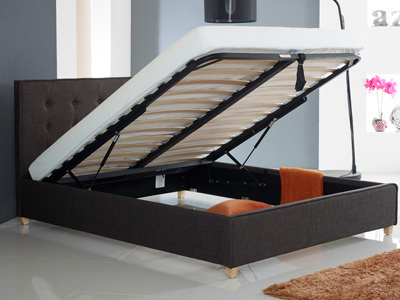 Most of our Ottoman range are in stock and available for next day delivery. 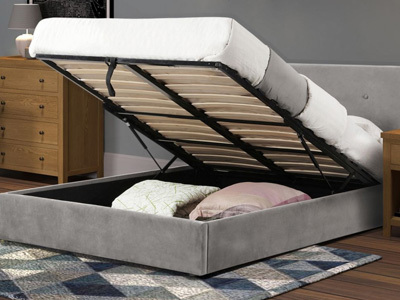 There’s no need to spend all weekend trying to make space in the bedroom when a new Ottoman in one of Bedstar’s cheap seasonal sales could solve all of your problems?